Microsoft is removing code-based sandbox solutions from SharePoint Online, and skybow can help! Microsoft is removing code-based sandbox solutions from SharePoint Online, and skybow can help!. 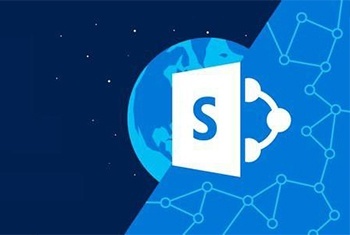 On Monday, 29 July 2016, Microsoft announced that it would be withdrawing support for code-based sandbox solutions in SharePoint Online and Office 365. New code-based sandbox solutions cannot be deployed and activated in SharePoint Online and Office 365 as of now, and existing sandbox solutions will stop working in the course of the next few weeks. This will pose a serious problem to the thousands of customers using sandbox solutions in their SharePoint online, since their solutions will just stop working. Even if this comes as a surprise, it really isn’t. Microsoft deprecated code-based sandbox solutions back in 2014, and urged customers and developers alike to move towards the AddIn model. Withdrawing support for sandbox solutions in SharePoint Online was just a matter of time. Still, a lot of SharePoint Online solutions are sandbox solutions with code. So, what do you do? This is where skybow can help! skybow Rich Forms, and other skybow AddIns like List View Search, Action Links, Tabbed Pages and Theme Designer are feature-rich SharePoint AddIns, which can help you, and your customers, to transfer sandbox solutions to the AddIn model in an easy and cost-effective manner. Combining those addins, both UI elements (forms, behaviors, design), and business logic (actions, data processing, data validation, search) can be easily implemented. A great deal of existing sandbox solutions can be re-developed in only a fraction of time, where otherwise a complex and longlasting custom client-side development would be needed. skybow is offering to help you with the analysis of existing sandbox solutions, and to evaluate which of them, and for how much effort, can be transitioned to skybow Rich Forms. This offer costs nothing for you or your customers. In the subsequent steps, we can accompany you on the journey of transitioning custom sandbox solutions to the skybow platform. Hurry up! This offer is valid only during the transition period, as long as the sandbox solutions have not yet been switched off by Microsoft, which presumably will be over the next 4 or 5 weeks (no exact date except for a “few weeks” has been set by Microsoft). Our experts can help you to evaluate the sandbox solutions in use and to form a transition plan, with as little downtime for those solutions as possible.